My So- Called Handmade Life: Who Wears Short Shorts? I suppose I will... this spring... because I'm finally making the Bombshell Shorts. I've been so looking forward to making this that I've had trouble concentrating on the project I was working on at the moment. Liwen (Oatmeal Pullover) was going to be my nice, bulky distraction, but by the time I reached the bottom ribbing, I was ready for the size 2s and cables. Then I still had to finish the sleeves. This is my quick, phone photo of Kate from Knits In Class's Cherry Bomb yarn. It is so beautiful in person, but also very vibrant for me. I'm sort of a muted green/blue/grey/brown/earth tones/hermit in the woods kind of girl, so this is stretching me as a knitter, not to mention as a woman. Did I mention it's for knitted shorts, people? Knitted shorts have invaded my subconscious since the first Holla Knits magazine came out. It's something I never thought of doing before (except for that one sad attempt I made as a new knitter with terrible gauge and polyester yarn, while on vacation- shudder.) They are so cute and perfect for wearing around a campfire or on a light hike. See all the outdoorsy imagery I'm using to encourage myself that these will, in fact, work for me? And why wouldn't they? Is it the same misgivings women have about knitted skirts? The truth is I already spend much of the summer in old wife beaters and cut-offs, so perfection shouldn't be an issue for me. I'm not averse to looking "real" in shorts. I've never been too hung up on my appearance, as is evidenced by the close-ups I allowed my cousin to take, at the family reunion, of my latest breakout. Bless his heart; I may have to kill him. So why fear knitted bottoms? I'm not gonna. I've been thinking about trying shorts first, then leggings, and then a romper. Bottom line: it's a clever pattern, looks quirky and fun, and is a much needed change of pace. It obviously must be done. There is NO doubt in my mind that you are going to rock those shorts and I especially love that you are going bold with the cherry color. 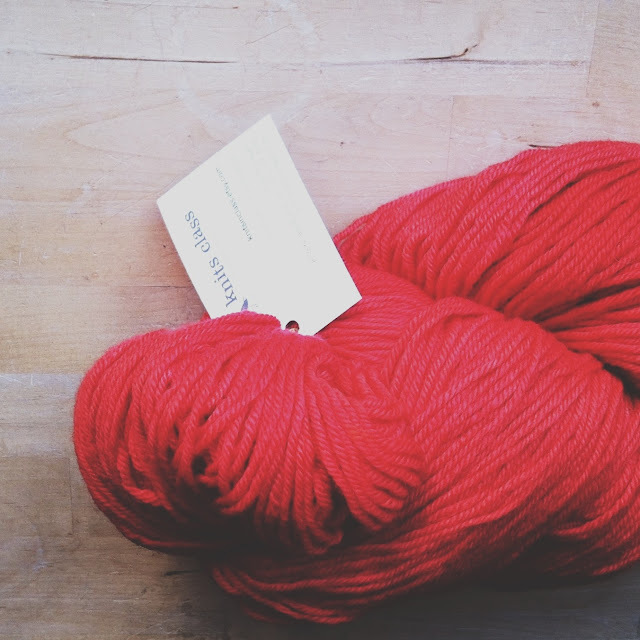 Listen, if you're going to knit a pair of short shorts, why not go all the way with a brilliant color like Cherry Bomb. I'll be watching your progress with excitement (and maybe just a little envy). Oh, thank you, Evelyn! I am joining your KAL for these, so it should be lots of fun. I know!! Either would be incredibly cute on you. I want to make them both before we go camping in a cooler climate, but will probably only get to the shorts. styles-from retro sailor pants to 1980s running shorts.